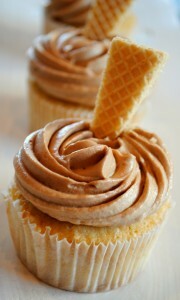 Who doesn’t love a Cappuccino Cupcake? 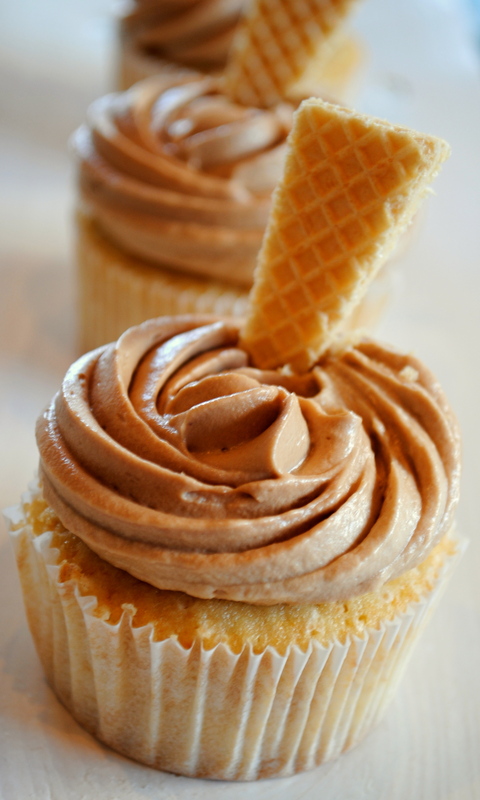 This really is a delicious cupcake – rich flavours of espresso coffee mixing with melted chocolate on a moist vanilla base and topped off with a wafer. The perfect compliment to this is a cup of strong coffee. A good cup of coffee is the first thing I need to get me out of bed and a good cappuccino cupcake makes the perfect morning breakfast treat. Your blog has inspired a baking frenzy by Mom. She is churning out freshly baked cakes each week and soon she will be competing with you as ‘Baker of the Year’.